12 Points for the Chocolate Room win. 6 Points for the Freedom of Speech Room win. 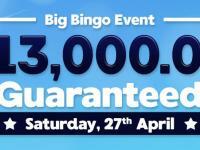 The Top 5 Players in this tournament will get 50 Points to carry over to Bingo Connect-6! Light up happiness with these $30 candles. And of course, the more you light (bingo), the more you win! Not just the guaranteed jackpots, but 15 BBs too! Bingo Knights play about 24 candles at random hours in a day, and if you can bingo at least 15, you’ll get to add 10 BBs to your tally. Manage between 8 and 14, we’ll still give you 5 BBs! And to make you happier still, the CMs will play a little game to help you get more BBs! Blow the candle as soon as it bingoes by yelling ‘BLOW’…the first 3 to do so get 1 BB each! 24 games, 24 chances, 24 BBs a day! Now go blow! How many calls will it take to bingo this $25 Xmas Tree? 15, 20, 35, …? Make your guesses 5 minutes before the game starts, and up to the 5th call after the start of the game.. The one guessing the nearest receives a 5 BB prize! Yes, there’s still more. The CM has placed a special Xmas gift on every number on the pattern! Ask for it after you bingo! What do you need to make a bingo Christmas Wreath? Flowers, cherries and a pretty bell to bring the right ‘notes’ home! Get it up and ready the first and win some more! 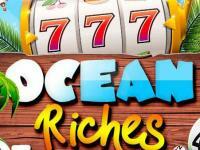 Now play each of these patterns in a row in a single game and enjoy guaranteed jackpots of $15 each. Bingo on each pattern the fastest to win 2 BBs. Bingo on the three-part set the fastest in two hours, and win 10 BBs! Don’t mind the hunting trip after you bingo on this big box at 11 PM every night! If you want some more gifts, that is! It’s simple really…just follow the 3 clues the CM gives you to find your gift among the numbers. Something like…I hate Valentine’s Day, and you’d know its No. 14 the CM is talking about. You can open your gift here, but if you’re willing to take the next clue, and guess it correctly, you could win a bigger gift! With the 3rd clue of course, your gift gets even bigger! A new hour, a new number! This means, the Chocolate Room will play a new number between 1 and 10 every hour. 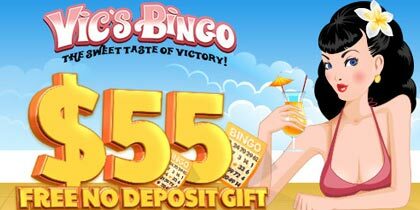 When you bingo on the pattern, you win a deposit bonus equal to the number you bingo on, plus the number that played! Your favorite 90 Ball Specials run right through the weekend! And there’s hundreds to win! Ho Ho Ho! WIN $75 every hour! One very leaky barrel this! 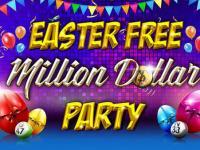 Dripping with $2,150 worth jackpots just about e-v-e-r-y s-i-n-g-l-e d-a-y! Hurray! Every Hour is a Christmas Hour! So there you are, with a chance to make $75 every hour on the Dec 25 pattern. If you’re wishing for solid diamonds, start by just bingo-ing on the pattern every evening in the Highroller Room! With $100 on each game, you can save up to $300 every night! The Coverall arrives promptly at midnight. Every day in the Chocolate Room, with a $100 guaranteed jackpot! Bingo Knights have players Malory Glenn, Crystal Hynes and Robert Einberger to thank for this suggestion for 3 part games in the FOS Room! Sure you’ll enjoy them! The road to $30 can be traveled with some help from a scooter, a car and yes, a bus too! Play these patterns on a single ticket at these hours every morning and evening! Cheers to 10 BBs! The Wine Glass pattern will play the most frequently, all through the day, in every room! Clink your glass as often as you can! This one can get you 31 BBs in your account by the end of the month. And once again, you have player Robert Eichberger to thank for this wonderful idea! We’ll pop a question into the bingo rooms each day. And all you have to do is click on the answer you think is right! At the end of the day, we’ll check out the majority answer. And if you’re on the list, you get a $1 worth BB free! Rush to the North Pole! Whoever gets to the North Pole first gets the bigger bag of BBs! Team up quickly into 2 groups before the start of the session and start racing. Each team scores by adding up the numbers each of the members bingoed on to reach a total of 90! For example, team A bingoes on 10, 25, 27, 18, 4 and 6 to reach 90. Team to reach 90 first wins 100 BBs! Runner-Up team wins 50 BBs! The faster any team reaches 90, the more games you can play! That’s more sets of BBs! Heed not Santa’s little elves (the CMs!) For that’s where your BBs lie! The CMs will play “Santa says…” but you’ve got to do just the opposite in order to win 2 BBs each. First 3 to respond will get the BBs. 6 BBs: If you hit the bull’s eye. 4 BBs: In case your hunch is within four numbers, before or after bingoed number. You ask, you win. You answer, you win again! We’ll play trivia differently, and allow you to throw a question to your roomies. You get 1 BB to ask a question, and another 1 BB to answer correctly! The CM will moderate the session, and ensure that each one present gets a fair chance to ask! Match 1 of the selected numbers to win 2 BBs! Match 2 of the selected numbers to win 4 BBs! Match 3 of the selected numbers to win 8 BBs! Match 4 of the selected numbers to win 16 BBs! Match 5 of the selected numbers to win 32 BBs! 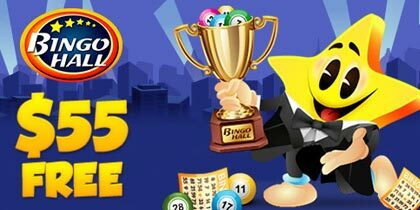 Match 6 of the selected numbers to win 64 BBs! The prizes are aces-high too! 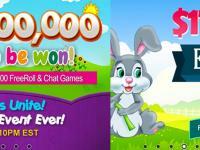 Play Slots Tournaments as per this schedule for cash rewards worth $7,000! 3 Poker Tournaments are going to keep you busy and winning…cash prizes of up to $3,300! Weekdays tourneys play every Monday to Thursday, from December 6 to December 30! 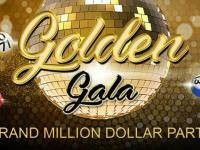 $10,000 at the Weekly Raffles and $16,000 at the Daily Raffles! That’s the kind of cash lying at the Deposit Counter… so go pick it up! Take help from this schedule, and go get lucky! Deposits between $40 and $75 automatically enter the daily raffle draw! Get your friends to Bingo this year! ‘Cos there’s lots in it for you too! Once your friends register, you get 25% of their deposits made over the next 90 days plus 50 BBs on their first deposit! If you’re at Loyalty Level-8 you get a 50% EXTRA bonus. At Loyalty Level-9 you deserve a 100% MORE than the regular! Fantastic, isn’t it! All deposits of $100 will get 50% EXTRA!